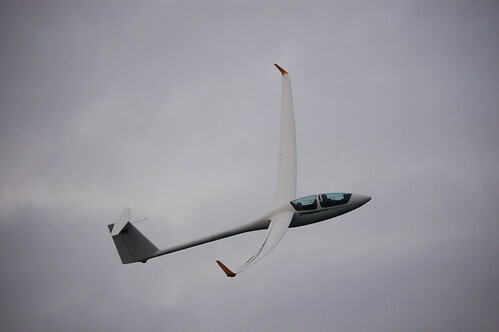 FYI - coming soon - a newly constructed ASH 25 Open Class glider from Wolfgang Piper and Ian Forster-Lewis. 60:1 L/D aerodynamics with an accurate polar for +ve and -ve flap settings, and accurate use of water ballast. Highly detailed model incorporating wing flex. The custom flexing formula includes many details not previously available, including ballast amount and wingtip contact with the ground. Ailerons and flaps have been carefully modelled, including the flex with the wing. Aircraft installs with two alternate flight computer panel variants - CAISET and B21 XML gauges, both including yawstring. 60:1 Wow! Sounds like a great glider to fly in competitive missions. Is it a two seater as per the photo or is there two models? Yep, we got a couple of weeks to come up with some good Open Class tasks, then! After a lot of detail work, the ASH25 is in pretty good shape now. For both Wolfgang and myself the model represents an incremental move forward from gliders we've produced prior to this one. It moves the glider modelling state-of-the-art forward in a couple of ways - in particular as mentioned and illustrated above, the wing flex (important for a glider with a wingspan of 26m) has been carefully constructed, with a custom-designed program (using FSX XML) controlling the animation incorporating the effect of ballast and also the influence of a wing resting on the ground. The glider has program control of its glide performance such that negative flap settiings become increasingly inefficient at slower speeds. As reported, two comprehensive panels are provided, CAISET and also the XML instruments as seen in the LS8-18 with minor enhancements. Wolfgang and I are just flying the glider around a few tasks for a little while to pick up minor points (e.g.we just increased the range of trim control) and will post up the aircraft for download shortly. Sinceraly thanks for your work.Glider seems to be a great result.We shall think to you flying on his board. ...Is it a two seater as per the photo or is there two models? I was wondering the same thing. I just installed the existing ASH25 to have a look at that one. The existing ASH25 3d cockpit has both seats c/w panels modeled, and you can move your eyepoint back to get "into" the back seat, but I think a custom camera definition needs to be defined to really use it, especially with TIR. I'm assuming the new one will be handled similarly. I'm going to go ahead and do that for the existing one, just to understand how it's done, and in case it will be required for the new one. I have yet to try the dual pilots feature in FSX, and looking forward to giving it a go when this sweetheart is released. The new ASH25 has the rear seat modelled in the same way as the previous one, i.e. you can 'slide' backwards in the cockpit to see the rear panel. The instruments on the rear panel are very basic though - ASI, Altimeter and repeater slave vario from the computer in front. We started with the previous model when we built this one (and replaced nearly everything) so the fuselage dimensions are exactly the same. If you tell me how to incorporate another camera position we can put that into the model straight away. Actual numbers would help. The glider is actually finished - I'm sitting here typing up the documentation page (like the LS8-18) - it takes a while to get all the images for the dials saying something sensible. If you tell me how to incorporate another camera position we can put that into the model straight away. Actual numbers would help. I'm sure the InitialXyz= values could be rounded, or tweaked to get it perfect, but it is about right for me. These are simply the values I fished out of the .FLT file after moving the eyepoint back and up a tad. I haven't fine tuned them. okeydoke - thanks for this - I'm sure it can be incorporated in the download. Wolfgang has produced a complimentary page for the ASH25 as for his other downloads, which includes a 'CAiSET' panel version as well as an earlier version suitable for FS9. This FSX aircraft is easy to fly, but behind the scenes a variety of FSX techniques are used in the modelling and the aerodynamic performance, beyond that used in our previous aircraft. thanks for a wonderful plane - compliments to both of you - great jobs. Everything works fine,but i'll do the correction which is signaled. Great job, guys! Looks fabulous and can't wait to try it! 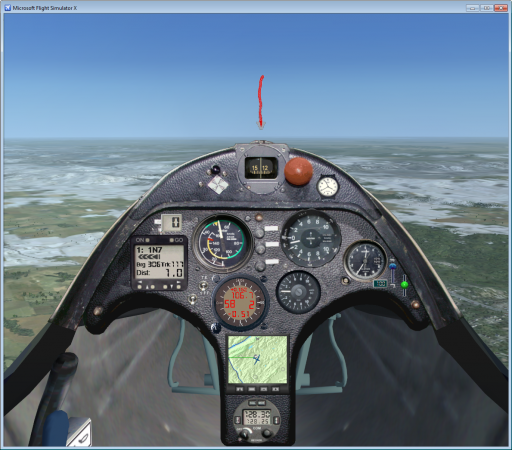 Thanks Max - I've made that small tweak to the aircraft.cfg on the B21 version and will get to it on the caiset version. I'm guessing the only impact of the station loads entry is you can't change the weight of the two pilots before the fix ? oh well, it's all part of the fun. zero flap, 50 knots should give you an L/D of about 60:1. There are lots of things that can move the performance +ve and -ve from this, particularly CumulusX, FSX thermals, or any FSX weather setting. The actual position of the airbrake affects it also, and if you have airbrakes on a slider control that may or may not close them at zero. Gear has to be up. If you click the face of the 302 gauge you see the L/D. Max we can follow up on email for joint testing and development for your auto-polar gauge - I should mention the ASH25 has *active* control of its flight performance and we'll need to look at how it interacts with your gauge. for this superb soaring monster. Soaring from Sion to Innsbrück last night was a peace of cake. And as when you beaver away on these developments you never really know whether anyone's actually going to fly it, knowing that someone's had a good flight kind of makes it worthwhile so thanks! Seriously? I've been checking this thread almost daily since you started it! Started thinking about Open Class tasks, too, and have roughed out a couple based on some Condor tasks I have. Possibly tonight, my brother and a flightmate will try out this airplane. I made only the briefest test flight last night so can't say anything at this point. It was more to check out a task than the airplane, and I didn't even get to the point of starting the task, just takeoff, tow, fly around a little, tried unsuccessfully to thermal. It certainly *feels* like an Open Class ship when trying to roll in and out of turns! Seems to handle quite differently than the version 7, but I have next to zero time in that one as well. Looking forward to more time in it! Got some time in this last night with my friend DC. Our Open Class task, a 198km triangle out of Shiflet Field in the Appalachians, proved to be not very easy, and we wasted lots of time experimenting with aircraft sharing, so we quit at the first turnpoint and landed. Only a measly 58km! I really enjoyed flying this bird, and it seems to reward good piloting. There were a couple of instances, where I let my airspeed get too low thermalling, and I was punished by a protracted "mush/stall" which cost me a lot of altitude. I did shoot some video, but will have to review it to see if anything useful worth uploading. Yup, this model does actually stall and you have to move the stick forwards to recover. Recovery is pretty immediate though. 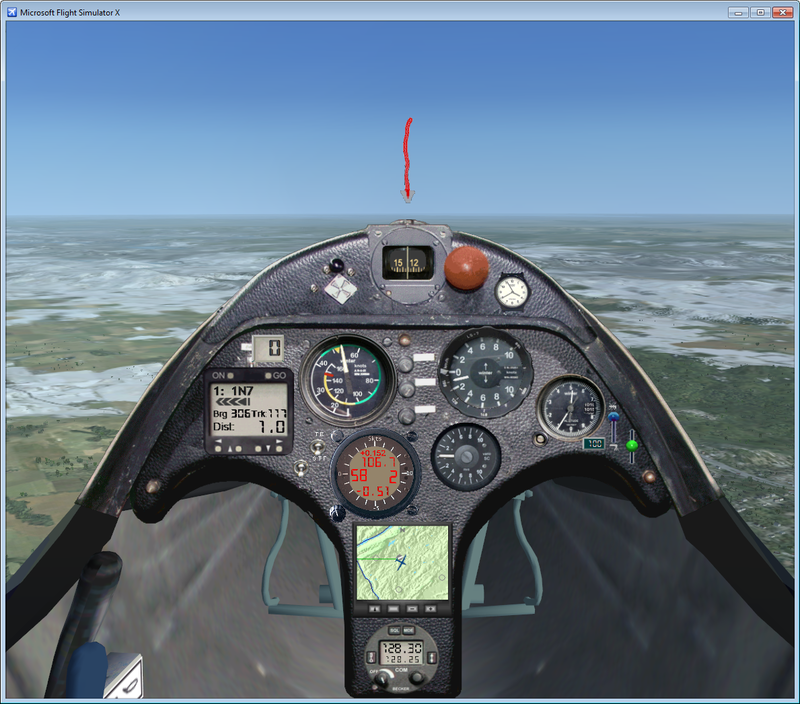 Even though some of the signs are there (nose is high, handling is poor) FSX doesn't get across the pre-stall info as well as a real glider (e.g a noticeable lack of wind noise, and the controls becoming almost weightless). More importantly, did you end up sitting in the same glider??? I've never tried it.